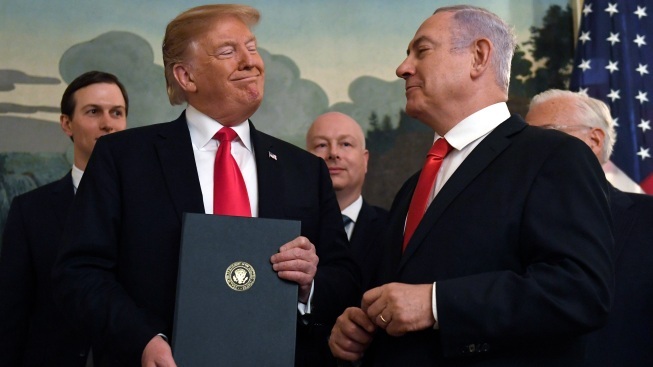 In this Monday, March 25, 2019 file photo, President Donald Trump smiles at Israeli Prime Minister Benjamin Netanyahu, right, after signing a proclamation in the Diplomatic Reception Room at the White House in Washington. 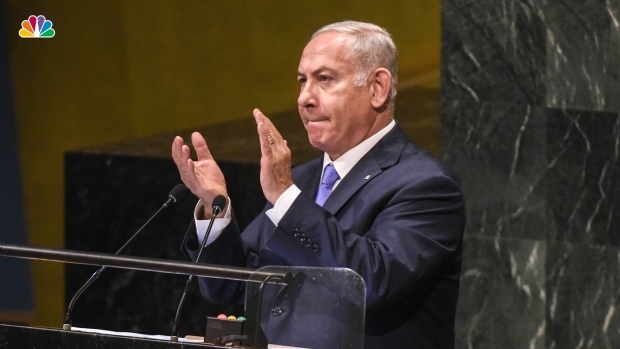 Trump isn't on the ballot for Israel's national election, yet he's a dominant factor for many American Jews as they assess the high stakes of balloting on Tuesday, April 9, 2019. 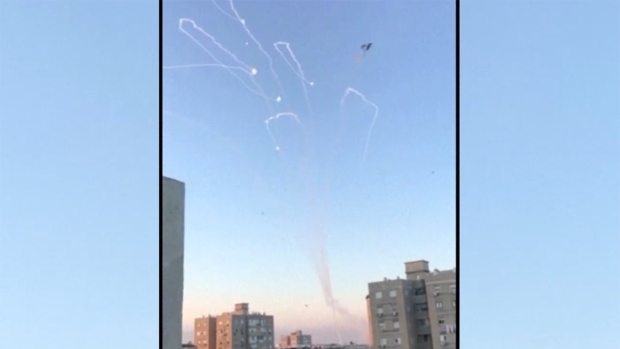 A new wave of fighting erupted between Israeli forces and Palestinian militants in the Gaza strip on Sunday, continuing through to Tuesday and leaving at least seven Palestinians and one Israeli dead. NBC's Sarah Harman reports from London. Associated Press Diplomatic Writer Matthew Lee contributed to this report.